Wow! So stunning in all of these! My absolute fave if you were to twist my arm and make me pick would be 10. I just love that silhouette on you. Every look is fab and so Aida! Great to see you! I LOVE #9 (or #12)! You're just sooooo super cute, I could eat you up, Aida. More later. Got to run. You have such an array of great toppers & accessories. These outfits all look great on you! Too much gorgeousness to absorb first thing in the morning! I still have those DV ankle strap flats that I lemoned off of you years ago, although they are about finished. You are queen of shoe preservation! You wear so many colors and patterns beautifully. Must examine more caffeinated! Waving at my kitty shirt twin!! It's funny, but that shirt is almost exclusively a "spring" item for me. I wore mine just the other day, too, with culottes. 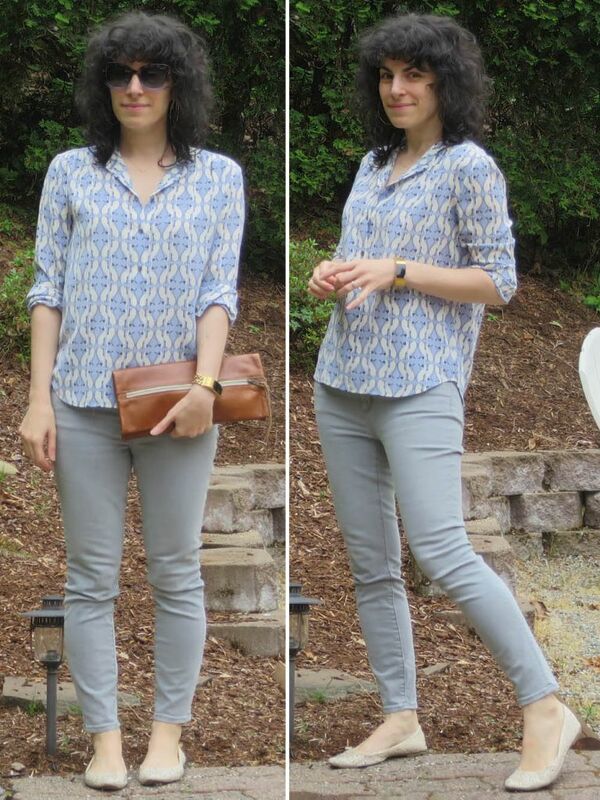 Also, every time you wear those heeled oxfords in #2 I am reminded that I really should have ordered them way back when, because they're such a terrific shoe. 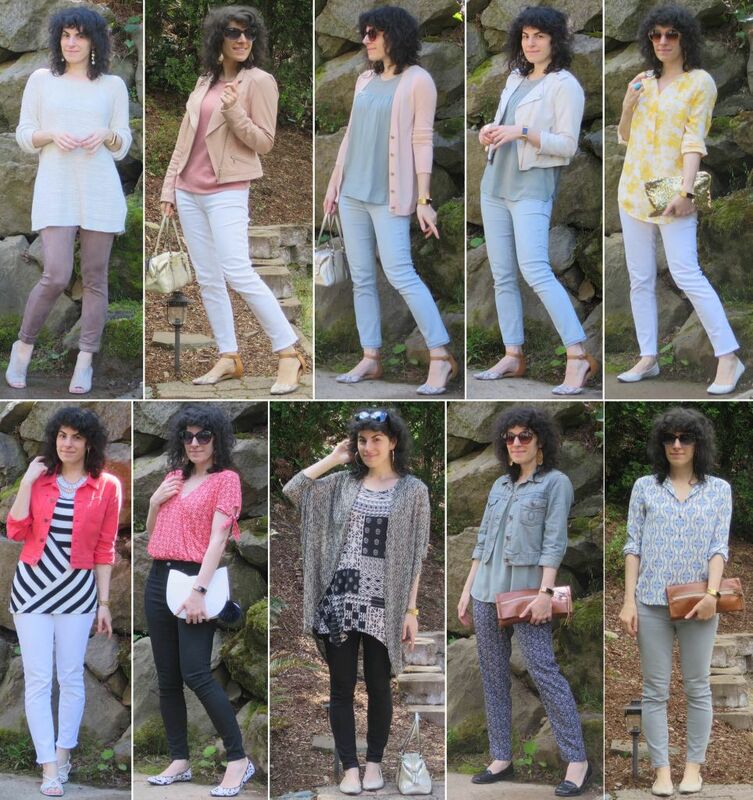 Love these outfits, especially 2/3 and the tonal layering in 5, and the pastel play in 6/7. Very spring like and fresh and it works with your colouring. Have you found potential shoes to replace your old loves that have worn out? It sounds as if you, like me, tend to have to replace footwear in batches. I don't know why that is -- it would be much better to replace a pair or two per season -- but this year I had to upgrade/ replace everything except dressier sandals and sneakers! Oh an interesting new direction! Beautiful outfits- I like ALL of them. I especially like those pale jeans. Also I like your use of statement earrings :). Thanks for sharing! You have a gift for putting colours and outfits together. 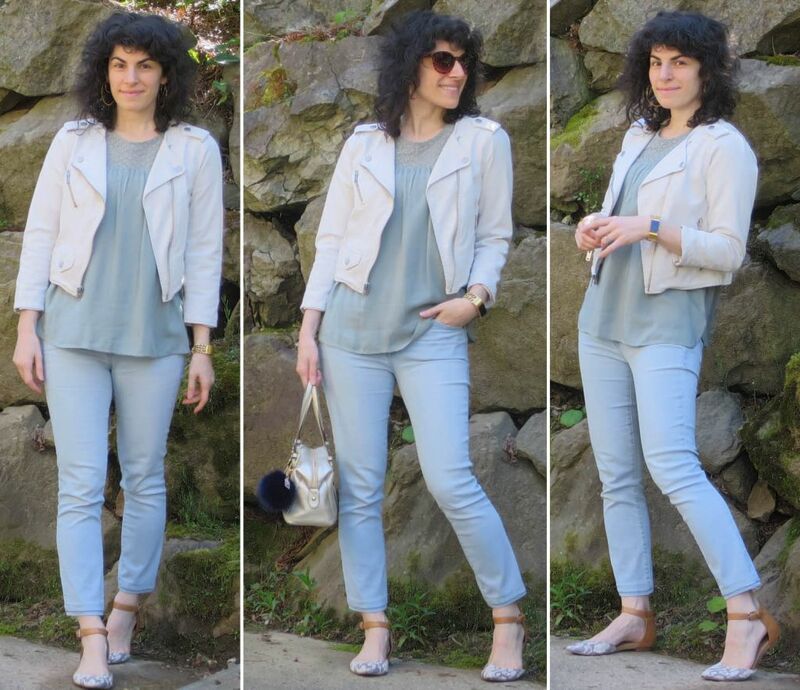 It is great to see your style evolve and the soft colour you have picked for spring. My summer shoes tend to wear out faster than my more robust winter shoes. I hope you find replacements. You are gorgeous in all these beautiful outfits. My favorites are photos 2,5,8, 11& 13. 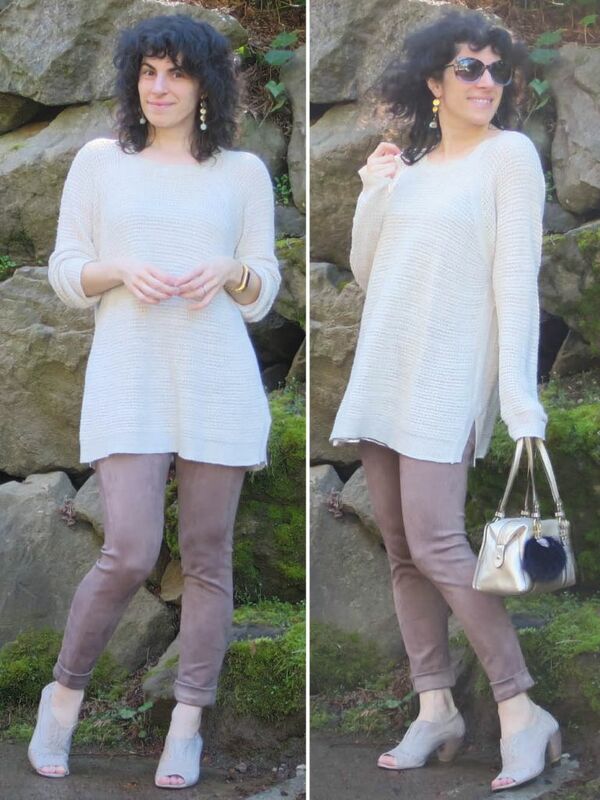 I am hoping to add more taupe and want those taupe skinnies in the first outfit. You are so skilled, all are 10s! I don't think I've seen you in high waisted jeans before -- you look AMAZING (picture 10) with a full tuck. What a lovely lot of spring-y outfits! Go Team Outfit Repetition. Don't fix something that isn't broken, right. Aida, your KILLER playful, deliberate, relaxed, adorned, and fun style is a joy to behold. I'm going with #10 as my fave. HIGH FIVE to high waist black skinnies. And #9 is next. Fab new loot. More wonderful outfits - I think #7 and #10 are my favorites here. I love that you get to wear jackets often and it creates so much more interest. I so much enjoy seeing your posts! I love the generally lighter colors. 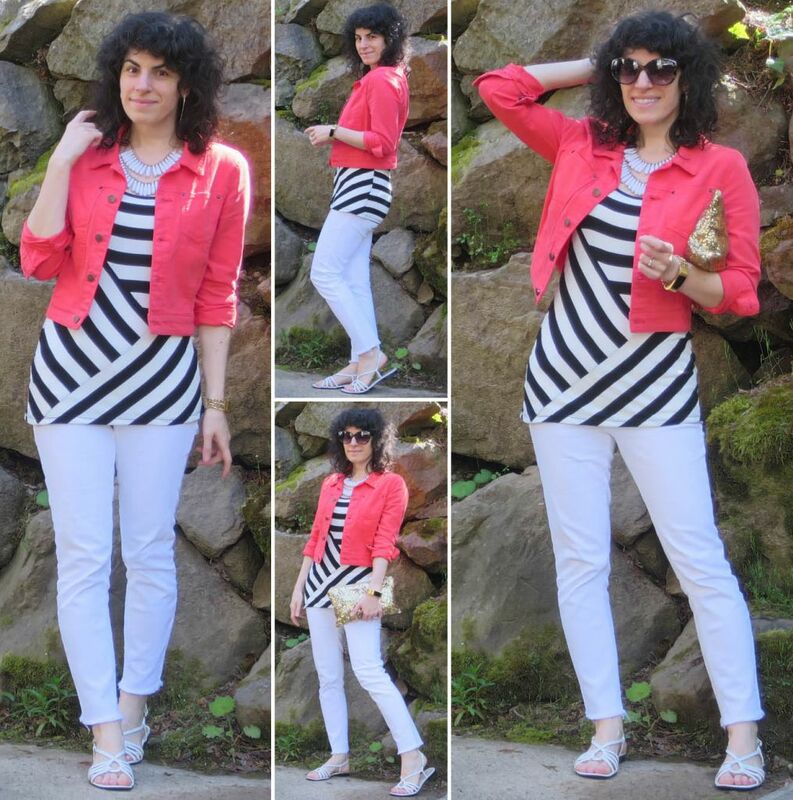 The pink jacket is really cute, especially with the criss cross striped tunic in 9. I'm always amazed at how well you wear such a wide variety of color palettes! 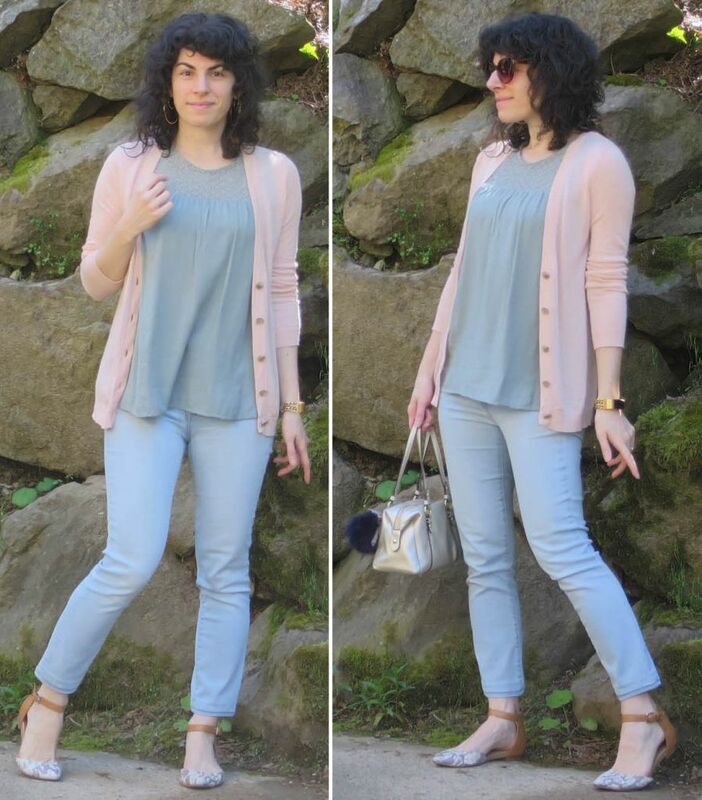 How do you manage to pull off pastels AND brights so well? Fun to see you post again! Gorgeous Aida! I love the light pinks on you. As always your amazing earrings and sunnies add a glamourous and unique touch to each outfit! What Janet asked!? How do you look so great in so many different color palettes? Really great, all of them! I love your layering, with the short topper, longer untucked shirt, and skinnies. I must try that! Lovely, as always! My fav is #9. I love that watermelon jacket! Oh wow thanks for all the lovely comments! So nice to read ^^ Happy to hear these are resonating, I definitely feel like I'm off on my own road lately even though I'd prefer being a bit trendier. It's been interesting trying to figure out where, if any, I want to incorporate more tailoring; last year I was thinking I wanted more but in practice it turned out to be a lot less. So, continuing with soft it is! Shevia, I think those flats are my most worn shoe. I don't know what I'll do when they go! Really need to find a second pair that serves a similar purpose to extend their life even further. Fun that you still have yours, even if they're on their last legs. Bijou, ooh good thought on the durability of summer vs. winter shoes. Make sense! Also when factoring in that I'm doing more stuff outside (e.g. walking and other activities) in summer compared to winter. Denise, I have a HARD time finding high waist bottoms that fit correctly (very long rise) so was thrilled to find this pair, though the denim is a little thinner than I normally opt for. And thanks for the compliment on the silhouette; I need to be in the right mood to wear that, heh. Janet and Kerlyn, hah yes I do wear quite a broad range of colors. I feel like my brights and pastels are kind of two sides of the same coin; as long as the colors are clear and saturated it doesn't matter if bright or pastel on me. These are all fabulous too of course. And it’s interesting to see the 2 posts together because these outfits definitely look more summery. The palette here seems softer and lighter. You certainly know how to colour mix with style. Fab, fun and fantastic! My fave is your graphic black and white with that coral jacket. The coral is striking on you. 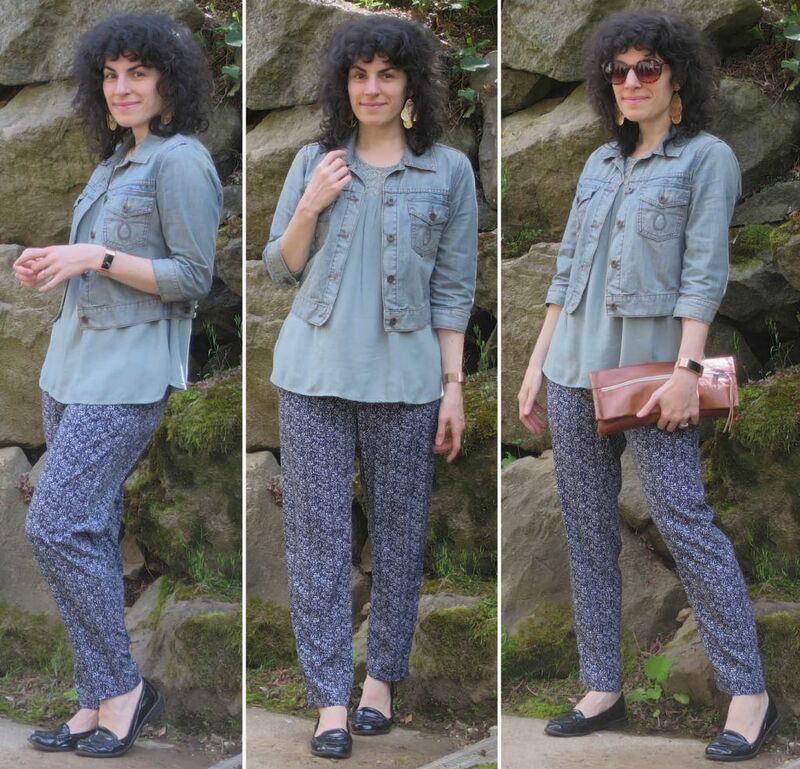 You have a wonderful group of spring outfits. 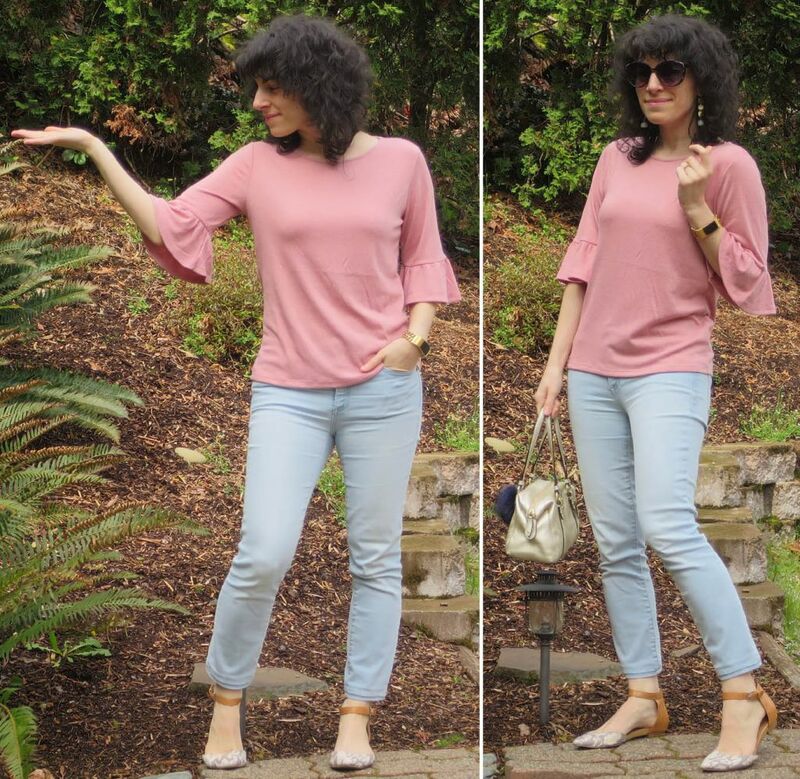 I was so taken with #2 that I added a pair of taupe jeans to my wardrobe yesterday, which is totally different than my black, blue, gray, and white palette. Thanks for sharing your outfits, they always inspire me. Brooklyn, yes I definitely enjoy wearing softer shades in summer though it used to be the reverse. I think I'm tending towards softer shades overall, actually. Bonnie, how fun! 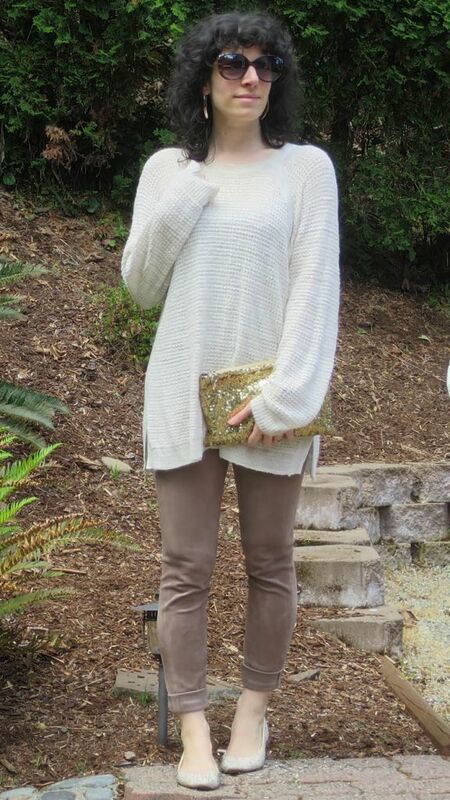 I can see taupe jeans working quite seamlessly into your wardrobe. I loooove pairing taupe with white and blue especially. Lovely outfits Aida, I can't choice favorite. Everything is perfect stylish Lady. You look amazing as usual. As usual, you are so stylish and pretty. I am intrigued by the many tengeants I see in these pics, wondering which one(s) will lead your next direction. Hands down 9 and 10. Simply because you wear contrast so well. 9 is graphic and alive, 10 is demure and ever so flattering. 13. Maybe the lack of contrast? These are nice pieces separately, but you seem to disappear behinf them. 2: I love that silhouette, it looks fun to wear, shoes are just the perfect addition for subtle chic. 7: Soft blues love you. Etheral, enticing look. I would certainly also try with shoes from pic 2. 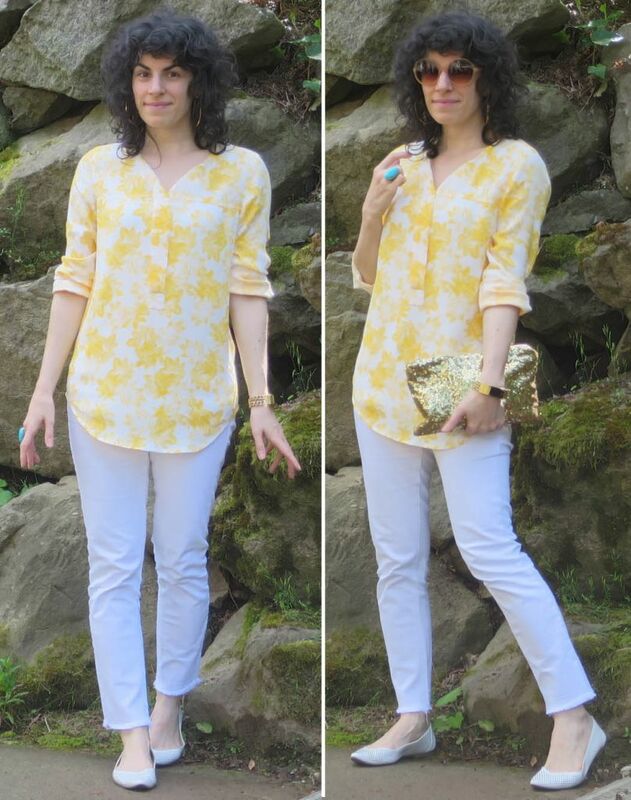 8: that turquoise cocktail ring is JUST the perfect perfect touch with this fresh, crisp summer outfit. 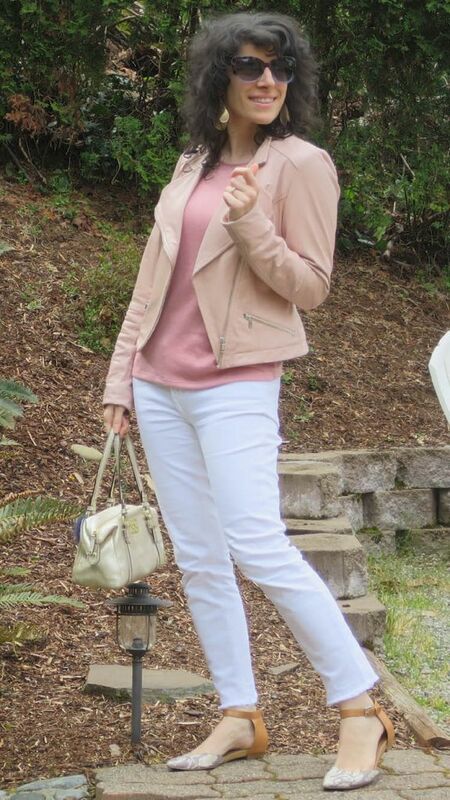 You are rocking the blush and coral! Love, love, love #7! Thank you Mirjana, Krishnidoux, and Becky! Krish, thanks especially for your detailed comment. I think all the tangents in these outfits are part of the next direction, with bohemian being the common thread across my usual eclectic tastes (keeping my arty/punk side, probably dropping a bit of the urban). Interesting thoughts on 13; as much as I like low contrast I don't often go for a visual effect of gray, like there is here, which is perhaps what feels off? 12 is kinda similar to that, too. I felt better in 13 than 12, though!